This is one slick lower. I have never seen a lower with a more perfect finish. The Bane Firearms billet lower is a top of the line traditional style lower. One thing I like about this lower is that you can add whichever trigger guard you want. You dont see that often in billet lowers. I highly recommend this lower to anyone in the market for a billet lower but wants the option of the swapping trigger guards. I think anyone will be more than happy with this lower. 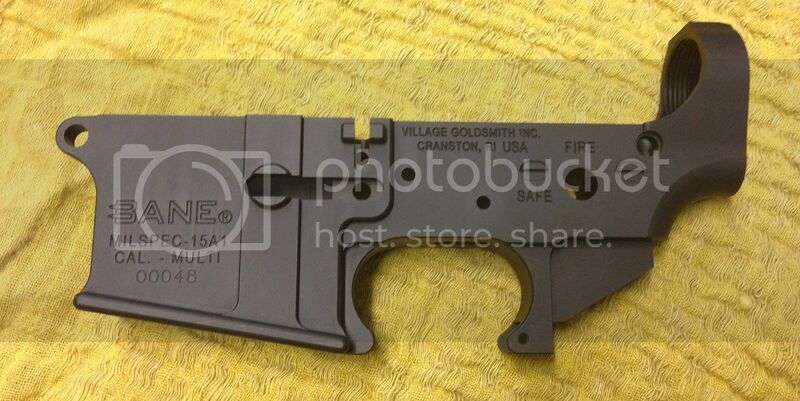 This lower is the one that is being used to update our "build it yourself AR" page, and will be given away at the Wounded Warrior RimFire Patrol match at Gunsite Hills.